vivo's X21 made its debut in China in March, and it started its international journey in Singapore at the beginning of this month. Now it seems that it will reach India before May is over, or at least it will be unveiled for the subcontinent. 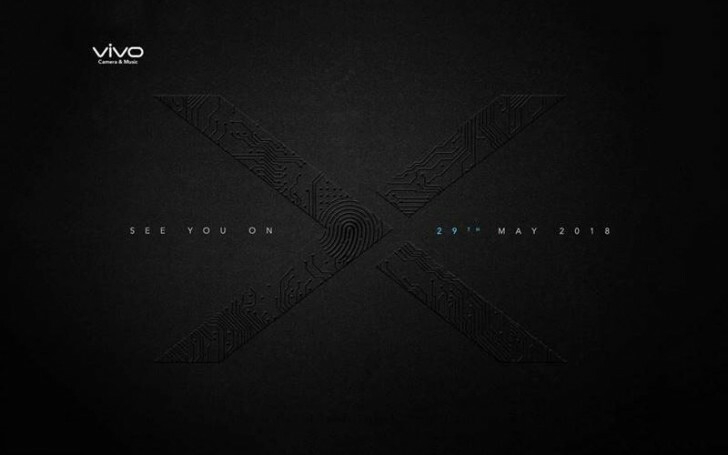 vivo has started sending 'block the date' invites to press in India, and given the huge "X" on the image we assume this can only be about an X-series device. With that in mind, it's not yet clear whether the X21 itself will be presented, the X21 UD with the under-display fingerprint sensor, or the X21i that has been leaking a lot in the past few days. Perhaps the answer to this dilemma is simply "all of the above", but nothing's certain right now. If the vivo X21 UD would make its way to India, it could become the first handset with an under-display authentication method to ever be officially offered in that market. Been using the MI MAX 2 since last year. Now why would i go or be interested in a device with the outdated micro usb!! Vivo still so far has not been able to implement the brilliant new "USB C" which is in itself now 4 years old.